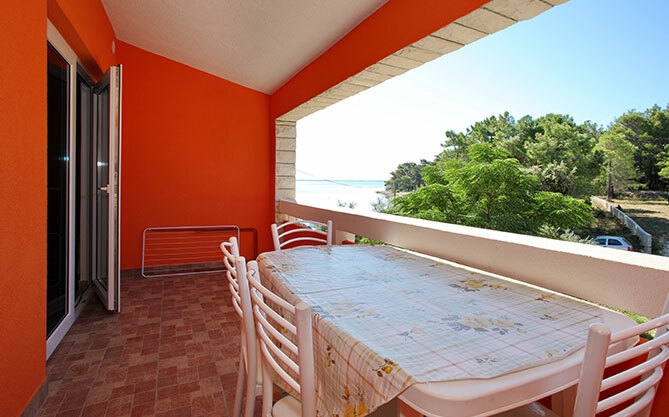 The apartments are located in a quiet bay of Sapavac, next to the beach, surrounded by pine trees. Ideal for family vacations without noise. 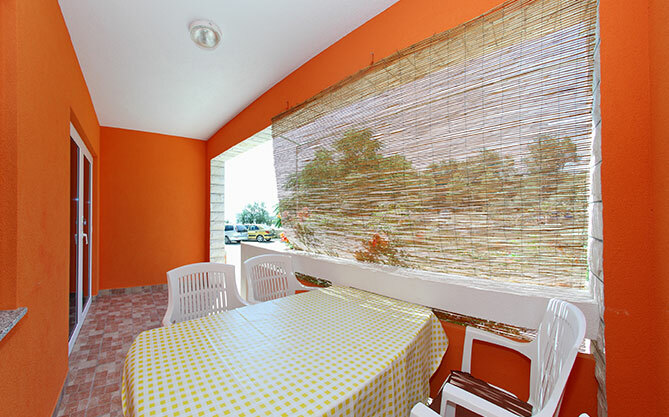 Apartments are new, modern, equipped with all the necessary appliances and are air-conditioned. 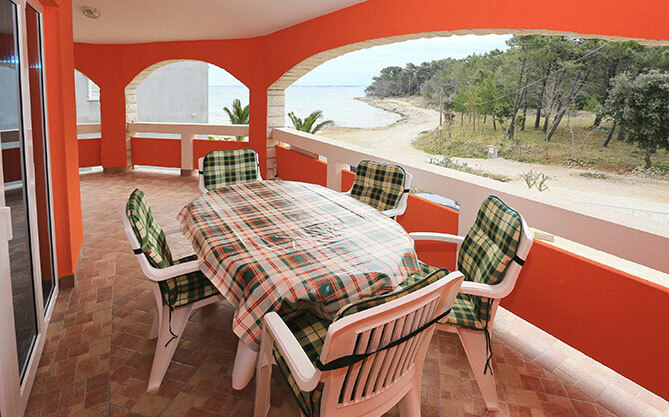 Each apartment has its own terrace overlooking the sea. In the yard there is a grill-maker with a barbecue area, which is available to guests free of charge. 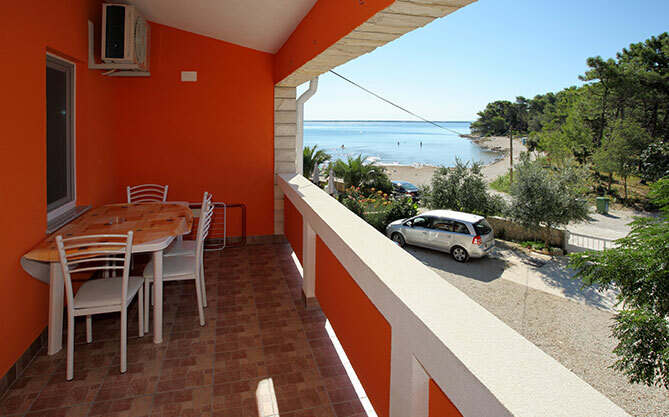 The beach is pebble, and in the sandy sea is a very mild entrance, ideal for small children. 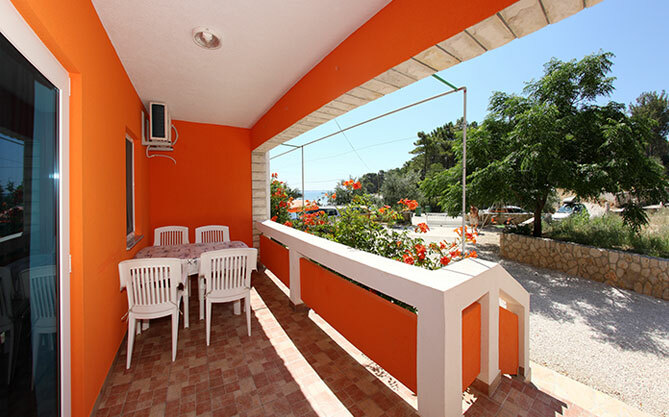 Apartment is located on the ground floor, in the central part of the house. Apartment is located on the ground floor, in the corner of the house. Apartment is located on the 1st floor, in the corner of the house. Apartment is located on the 1st floor, in the middle of the house.